I have grown up watching various television programmes based on what my parents and grandparents enjoyed watching – perhaps this influenced my love of vintage in the present day! I love history and I have been re-watching some of my all time favourite TV shows and thought I would share them with you – if not for the story lines, then for the vintage style inspirations! I will try not to give too much away, as I would love for you to watch them yourselves, if you so wish! The new series is now being filmed and I cannot wait for it to be released! I’m sure most people are aware of Call the Midwife, but I watch this show religiously! It is usually aired at the beginning of the year and so every Sunday night I get snuggled up on the sofa with a cup of peppermint tea and get ready to laugh and, more often than not, cry! Call the Midwife has been around for a few years, meaning that the have covered 5 years already! It first aired in 2012 and was set in 1957, following the lives of Midwives and the Nuns living in Nonartis House in the east of London. It has featured some of the biggest changes of the mid-century, including the baby boom and the early days of the NHS. In the series just gone which is now set in the 1960’s, they covered the introduction of the contraceptive pill and the effects of Thalidomide on unborn children. I have a love of the history of medicine which was derived from GCSE history lessons, and combined with the endearing characters and gripping stories in each episode, not to mention the vintage style inspirations(! ), this is my lasting favourite TV series. 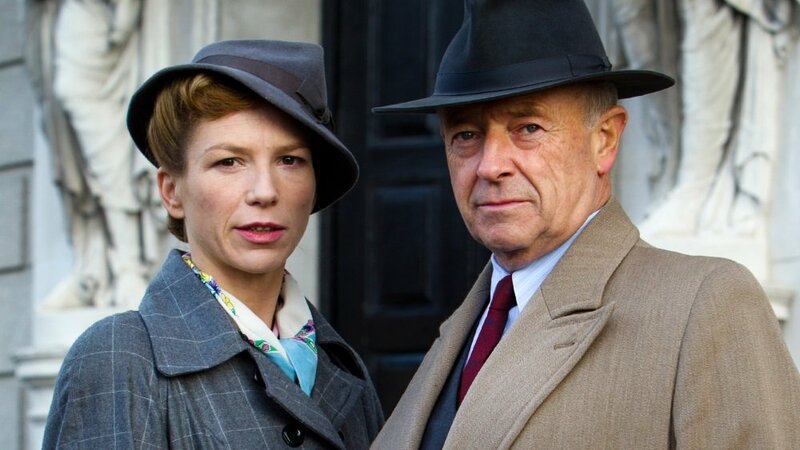 This is absolute 1940’s perfection… set in wartime Britain, Detective Chief Superintendent Foyle investigates crime in Hastings on the South East coast of England. Foyle, with the help of his driver, Sam (my favourite character!) tackle murder, theft and crimes of war, among other things! 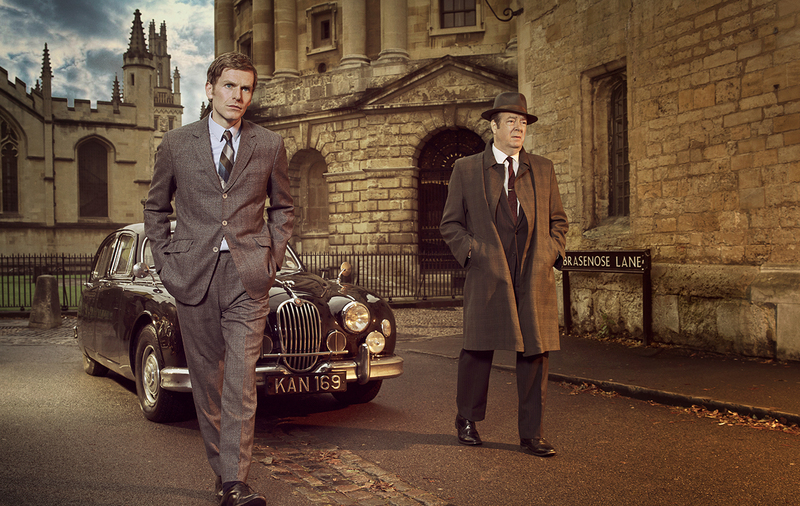 I love the setting of this crime drama as well as the fashion and style! Again, an absolute favourite of mine! The story follows Gary Sparrow, played by Nicholas Lyndhurst (Rodney in Only Fools and Horses! ), an ordinary TV repair man, who stumbles across a ‘time portal’ in a London passage way, transporting him to 1940’s wartime London. He lives a double life between the 1990’s and the 1940’s – different jobs, different relationships etc! I think for me, it’s a little bit of a dream come true – imagine if you could jump between the past and present! The TV series is a comedy drama, I certainly recommend watching! Dad’s Army is certainly an old favourite of mine, as it is for many of us brits. It’s an endearing look at the Home Guard of ‘Walmington-on-Sea’, a fictional UK town, preparing for any threat of German invasion. 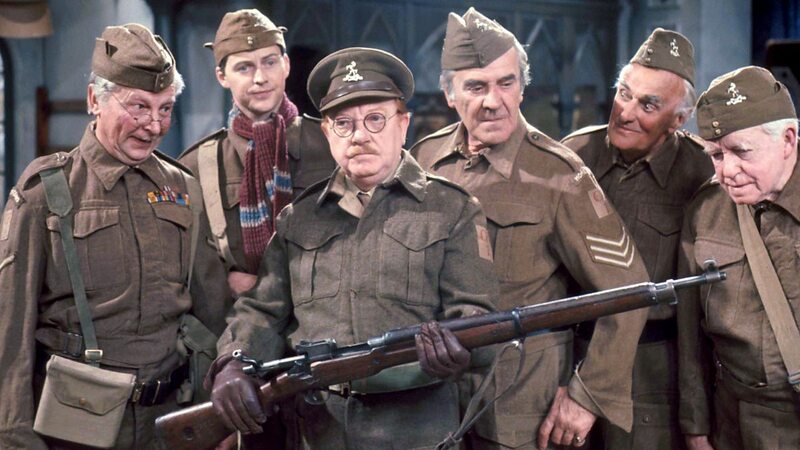 It is a proper british comedy in my eyes, but it also brings attention to the very real Home Guard that helped protect our little nation against the Nazi’s while our boys were fighting overseas. 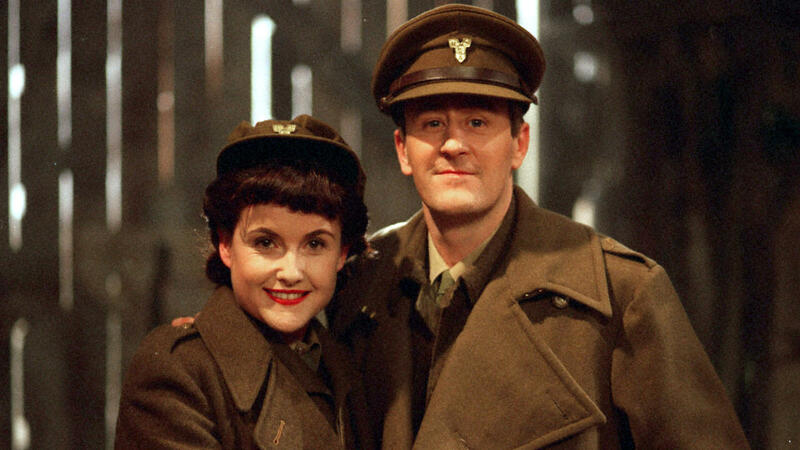 I am talking about the television series which aired from 1968-1977, but there is a very recent movie that came out, based on this original Dad’s Army. It is certainly a more modern take on this british classic, which changed the comedic style slightly but it was a very good movie! I recommend watching the original TV series and the 2016 film! This is my Nanny’s favourite, we always seem to end up watching it when I go and visit her! Agatha Christie was an author of some fantastic murder mysteries, which have been developed into TV series. Poirot is such an endearing character! The TV series follows Hercules Poirot, a Beglian detective played by David Suchet, solving a variety of ‘Whodunnit’s’. The series is set in a variety of decades, seemingly through the 1920’s-1940’s. I have no favourite episodes in particular, but it is something I can easily sit down and watch on a Sunday afternoon with my grandmother! Another favourite of my Nanny’s, I must admit this is one I haven’t religiously watched and know all about, but I find it very gripping and enjoy watching, when I go to visit my grandmother! (I promise, we do other things than watch TV!). The Durrells is based on a true story, following the Durrell family in the 1930’s, after the untimely death of their father, their Mother decides to move herself and her four children from Bournemouth, to the Greek island of Corfu! The series follows them adapting to life on this new, foreign soil. I love that this is based on the autobiography of Gerald Durrell, it is on my list of must-reads! Have you watched and enjoyed any of the TV series I have mentioned? Is there any you also recommend? Let me know what you think if you watch any of my recommendations, I promise you won’t regret it! I recently watched The Charmer which I will be doing a post on soon, and I felt like I was transported to the thirties. And to get your vintage fix, for me, it’s got to be The Agatha Christie Hour. Those gowns, my goodness! Great list! I have not watched any of them, so thank you for the suggestions!! !